What Exactly Should You Study for the CPA Exam? While the process to become a Certified Public Accountant (CPA) takes a serious commitment of time and energy, many people find it is a path to a uniquely rewarding career. Candidates must show that they have the necessary education, and then prepare to sit for four separate exams. To have a chance of passing the tests, students are best served with a Master of Accountancy from an institution that will provide them with all the information and experience they need to be a high-level accountant or manager for almost any kind of organization. This guide shows students how to become a CPA, with a detailed discussion of CPA exam requirements and components. There are many steps to the timeline for meeting CPA requirements, and the exam itself is only one part. First, students must complete the minimum education to sit the initial exam. The pass rate for the CPA exam is a score of 75 and candidates may need to sit each section more than once. If educational requirements are already met, students will find their applications go through relatively quickly. They should only apply for exam sections when they expect to take the test within six months of application. Once the applications are approved, students may start to prepare for each individual exam by researching the covered topics thoroughly, with the use of study tools and exam review. The exams are completed, with retesting as necessary. While candidates prepare for the exams, they should continue to work, or study in higher education as a means to complete the CPA certificate qualifications. With a fully completed CPA exam and eligibility for the certificate, candidates apply to their state’s board of accountancy to become a Certified Public Accountant. Eligibility to sit for the Uniform CPA Exam is based on a state’s individual prerequisites. Many states require that all candidates possess a minimum of 150 semester hours of education before they can receive a CPA certificate. This is based on the assumption that the knowledge of all subjects called for by a state’s board of accountancy goes too far beyond the baccalaureate level of knowledge. Candidates often find that the additional education of a master’s or higher degree makes a big difference. Many states oblige candidates to have 24 semester hours of upper-division or graduate accounting education to sit for the exam. The certificate demands 48 semester hours of accounting and business-related education, of which only six can be tallied from internships or life experience. Most states also need candidates to have a year of work experience as an accountant, although paid internships usually count toward this requirement. Once candidates have met the basic education CPA exam requirements, they must prepare for the actual exam. They should start by researching the concepts they will be expected to know. After all, accountancy is a concept that is constantly changing. The American Institute of CPAs, the governing body of the CPA exam, notes that any changes to federal law or the release of new accounting pronouncements will become applicable within the exam framework six months after the information is available. This means that students have to remain educated on current financial rules and accounting standards, because it is highly likely that they will be tested on it. The AICPA also recognizes that many who pass the CPA exam will be required to meet International Financial Reporting Standards (IFRS). They may need to know the standards to work in an international company, an American company that owns businesses abroad, or to audit entities with similar arrangements. As such, students should study both generally accepted accounting principles (GAAP) and IFRS for each exam section. Most candidates benefit from the use of study tools to help them meet the CPA exam requirements. The type a student will choose depends largely on the person’s knowledge base and learning styles; and using more than one is highly recommended. There are several books on the market with review chapters and sample exams that candidates can use for practice. However, given the frequent changes to accounting standards and tax law, students should make sure that they are only accessing content that is newly updated. Even a study course from the previous year may have significant misinformation. Candidates have access to online courses, video lecture series, books, and even classes to help them study and practice for the exam. Ultimately, experience is also a good preparation tool since the vast majority of those who sit for the exams will fail at least one, so they should use that experience to bolster their knowledge for the next round. The CPA exam consists of four separate parts, the sum of which have a maximum of 14 hours for testing. Auditing and Attestation, and Financial Accounting and Reporting, are up to four hours each. The remaining two, Regulation, and Business Environment and Concepts, can last up to three hours each. The sections of the exam are typically taken separately, and contain five or six content areas. They are designed to represent a test for knowledge as well as the ability to accurately record information and communicate with hypothetical clients. Most jurisdictions expect candidates to pass all four sections within 18 months of the first passed exam. Auditing and Attestation (AUD):This exam section covers an accountant’s ability to audit a financial situation. The candidate must show that he or she can plan the arrangement, examine internal controls, obtain and document all information, accurately review the engagement and the documentation, and prepare to communicate the results with a client. Business Environment and Concepts (BEC): The BEC exam tests a candidate’s skill at applying general business concepts to specific scenarios. It requires a great deal of broad knowledge on different topics, including general economic concepts, financial management, the best way to use informational technology in accounting standards, business structure, as well as strategic planning and accurate measurement of all controls. Financial Accounting and Reporting (FAR): This section comprises all the typical standards someone seeking a master’s degree in accountancy must know. Candidates must show that they understand financial statement concepts and standards, the typical items included in a financial statement, all the types of transactions and events, how government entities should report finances, plus accounting for nongovernmental institutions and nonprofit organizations. Regulation (REG): REG covers all issues related to government and organizational regulation of a business or other entity’s actions and records. Specifically, candidates should expect this exam section to test them on their knowledge of business ethics, law, federal tax procedures, and taxation for property, businesses or individuals. As a general rule, these exam sections may be taken in any order. Some students prefer to take what is perceived as the harder or longer sections first. The BEC test, as a more general assessment of a prospective accountant’s knowledge of business and corporate finance, has the highest overall passing rate. Each of the exams is broken down into a number of pieces for candidates to complete. The pieces, called “testlets,” feature a combination of multiple-choice questions or test-based simulations. Although the multiple-choice questions are all drawn from the same bank of questions provided by the Content Specifications Outline, they are delivered in random order throughout the testlet to minimize the incidence of cheating. Candidates should remember that the questions often demonstrate situations that are quite subjective. In this case, they should select the answer that is the most correct for the unique financial situation, from a selection of available answers that may all be technically correct. It is not uncommon for candidates to not pass on the first or even second try. The low pass rate of 45-55 percent means that students should expect to take the exam more than once, using the results of the prior exam as an effective study tool. In reports for past exams, candidates can see where they did well and what areas they need to work on before retesting. If students do not pass a particular exam, they can retake the exam as soon as the next quarter. They do not need to pass one exam before they apply to take a different exam section. Those who sit for each exam should also keep deadlines in mind. Most states require that all exams be passed within 18 months, or else the first passed exam must be retaken. Additionally, some states pose a deadline between passing the CPA exam and applying for a CPA certificate. As such, students should have all paperwork ready to apply for certification soon after they pass the final exam. The Master of Accountancy program at The University of Scranton will help prepare you for the CPA Test so that you could achieve your goals! For more information on the Master of Accountancy program visit our website. Without a common set of accounting standards, businesses would be on their own to show that they are reporting revenue and costs or losses correctly to investors or shareholders. These standards, known as generally accepted accounting principles (GAAP), provide certain guidelines that accountants must follow to avoid auditing or penalty from government entities. 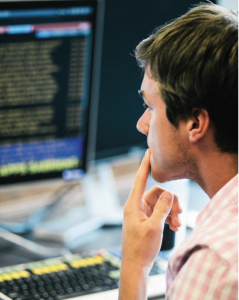 Students seeking a Master of Accountancy degree learn about these principles and how best to apply them to the businesses they will serve in the future. There several common principles that students need to understand. These rules come from pronouncements made by the Financial Accounting Standards Board (FASB). There are over 100 pronouncements since the establishment of GAAP in 1973. While any publicly-held business with dealings in the U.S. must adhere to these standards, any businesses with dealings in other counties must also follow international accounting standards, as well as any other regulation specific to the region. Similarly, the Going Concern Principle makes a fundamental assumption about the near future of the business. Under this principle, the accountant operates as if the business will continue to survive for the foreseeable future. This means that the assets will be assessed at cost, not at liquidation values, and that revenues will be reported as normal. Of course, if evidence indicates that the business may not survive to the next year, the reporting standards change. The section of principles under GAAP standards regulates the way businesses report their revenue, expenses, and how accountants must document this information. Revenue recognition and the Matching Principle are two important guides for businesses to keep their revenue in line. Simply put, recognizing revenue means to create a report of the business’s income. This typically relates to a product or service that that the company provides, indicating a contract for service or the sale of a product. The fundamental idea behind revenue recognition is accrual accounting, that revenue may be recorded independent of when the business actually receives payment, in the event that the two are not closely related. The Matching Principle deals with the timing in which expenses tied to that revenue are recorded. Unlike revenue, which is recorded when it is received, expenses are only recorded when they make a contribution to revenue. Whenever possible, accountants should match expenses to related revenue in the same period. There are many constraints under which companies are bound to limit the types of information they use to create reports. The Materiality Principle governs the ability for businesses to override certain standards in the reporting of immaterial items. For example, businesses should typically depreciate assets that last for several years. However, if the item is of very little value, the accountant may choose to simply expense the cost of the item instead of depreciating it. The SEC strongly suggests that accountants not make this a general practice, however, since misstatements may affect the reported earnings of the company. The Conservatism Principle calls for accountants to select the right form of accounting standards, if more than one is available. Specifically, businesses must choose the form of reporting that has the least-favorable immediate impact. The reporting style has the ability to significantly increase or decrease a business’s or even a government entity’s reported income and liabilities. There are many exceptions to following generally accepted accounting principles, primarily concerned with other reporting entities. For example, some industries have specific reporting standards that are generally accepted but fall outside GAAP guidelines. Local and state governments fall under the Government Accounting Standards Board (GASB), not the FASB. Plus, any business with financial interactions in other countries may be subject to International Financial Reporting Standards (IFRS). This organization oversees the International Accounting Standards Board, which sets guidelines for international companies. In general, students seeking a master’s degree in accountancy should research the types of regulation based on the region and industry where they intend to serve businesses. Companies benefit from their accountants following generally accepted accounting principles as a means to make their financial information clear to shareholders and prospective investors. People who plan to work as accountants should consider a Master of Accountancy program that provides detailed instruction in the principles and methods of accounting, following GAAP and all international accounting standards. 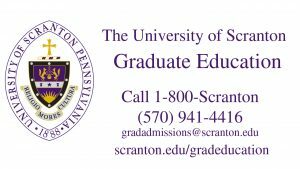 To learn about the online Master of Accountancy program at The University of Scranton, visit our website or request more information.